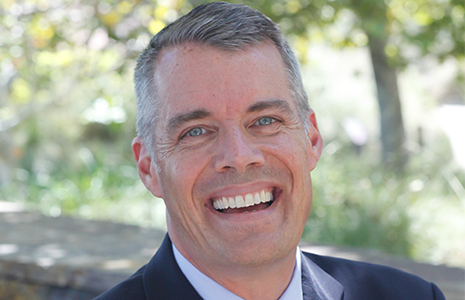 Dean Pete Peterson of the Pepperdine School of Public Policy will be speaking on the growing "viewpoint diversity" movement on America's college campuses at The Liberty Forum Silicon Valley in Mountain View on January 8th. Over the past several years, the School of Public Policy has taken a growing interest in "viewpoint diversity"—the concept that college students benefit not only from greater ethnic and racial diversity in student bodies and faculties, but also by hearing different political views. A growing body of research has shown that America's colleges and universities are some of the most partisan places in the country, raising important questions regarding basic freedom of speech to the veracity of social science research. In this talk, Peterson will highlight a number of recent studies of professors and students to outline the scope of the challenge as well as lay out practical steps students and alumni can take to encourage more inclusive classrooms and campuses. Peterson believes that American higher education is one of the country's most important institutions, but it is doing a poor job of preparing engaged citizens able to do the hard work of engaging others with different opinions. This event will take place on Tuesday, January 8, 2019 at Portuguese Hall 432 Stierlin Rd Mountain View, CA at 7:00 PM. For more information please email: sppevents@pepperdine.edu.